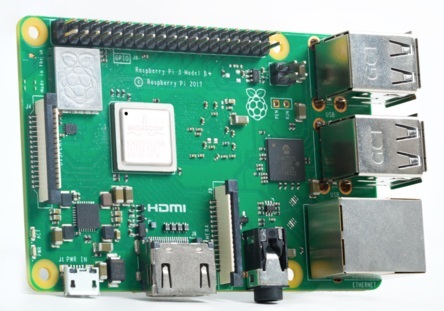 Do you want to get started with Raspberry Pi? 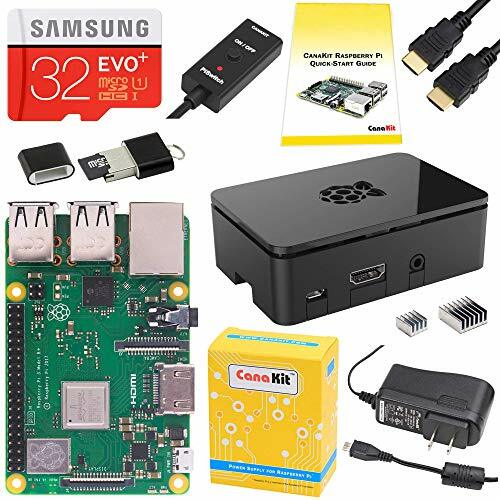 Read this post to figure out what you can do with a Raspberry Pi, and what are the Best Raspberry Pi Starter Kits to choose from. The Raspberry Pi was developed in the United Kingdom by the Raspberry Pi Foundation to promote teaching of computer science in schools. 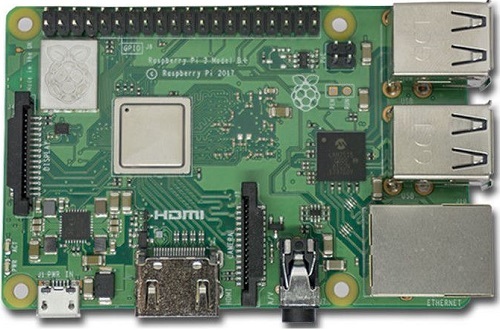 Since its first general sale in 2012, a total of 10 million Raspberry Pi boards have been sold. 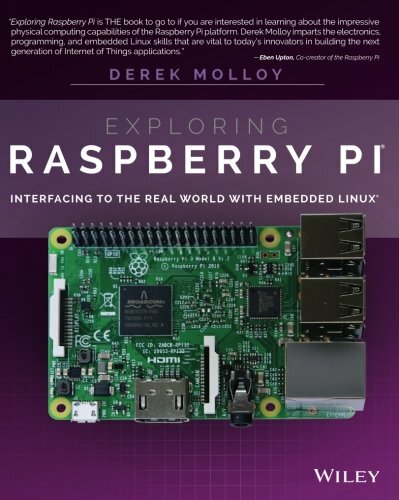 The Raspberry Pi has become popular not just among kids but also among electronics hobbyists, experienced makers, tinkerers, and even computer scientists. 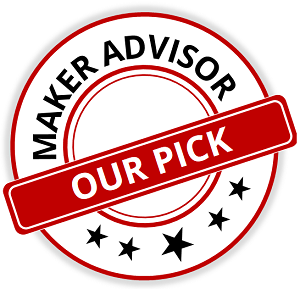 The list below shows our choices for the best Raspberry Pi 3 B+ Starter Kits and their features. Continue reading this article for a more detailed analysis of each Raspberry Pi 3 starter kit, and to learn more about the Raspberry Pi board. The Raspberry Pi is a credit card-size microcomputer board that you can get for approximately $35. It has everything a normal computer has: a processor, RAM and ports to plug a monitor, mouse and keyboard, and to connect to the internet. With a Raspberry Pi, you can do most things you do with a regular computer like web browsing, watching videos, editing documents, playing games, coding and much more. 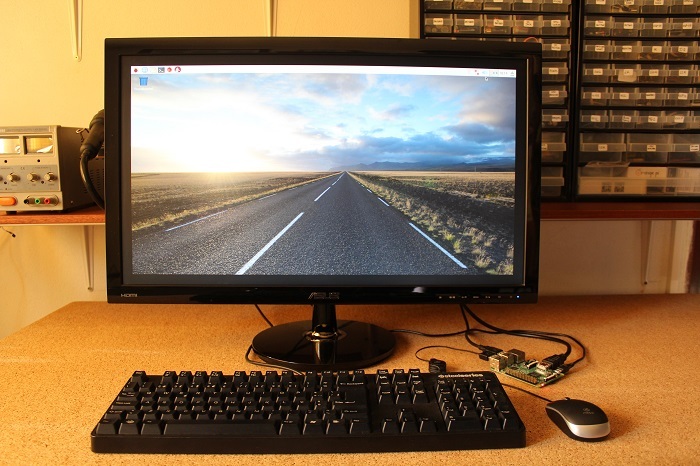 The figure below shows the Raspberry Pi 3 set as a full desktop computer. The Raspberry Pi board has one special feature that normal computers don’t: General Purpose Input Output Pins (GPIOs). These GPIOs let you to interact with the real world allowing you to build great electronics projects. There are MANY Raspberry Pi accessories out there, but you just need a few to quickly get started. 2.5A 5V power adapter to power up your Pi. microSD card (8GB or more, class 10) to store your files and the Pi’s operating system. The Pi doesn’t have an hard drive, so everything you do on your Pi is saved on the microSD card, even the operating system. You can get a microSD card with the operating system pre-loaded or install the operating system yourself. These are the two essential accessories you need to run your Raspberry Pi. 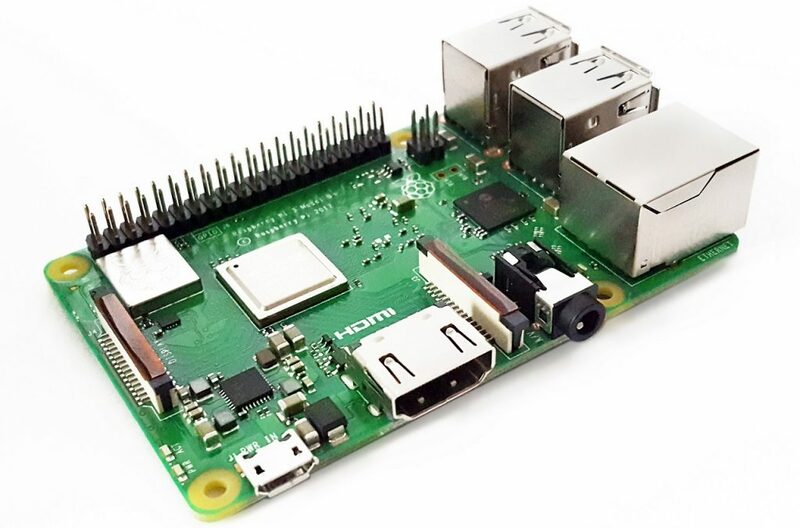 However, there are also other useful accessories you may consider get like an HDMI cable to connect a TV or monitor to your Pi or a Raspberry Pi case to protect your board. If you’re looking for Raspberry Pi accessories, take a look at these Top 10 Raspberry Pi Accessories. 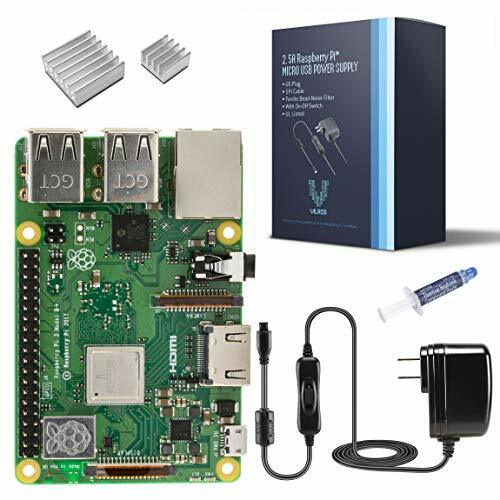 This is one of the most reviewed Raspberry Pi kits on Amazon with almost 5 starts. 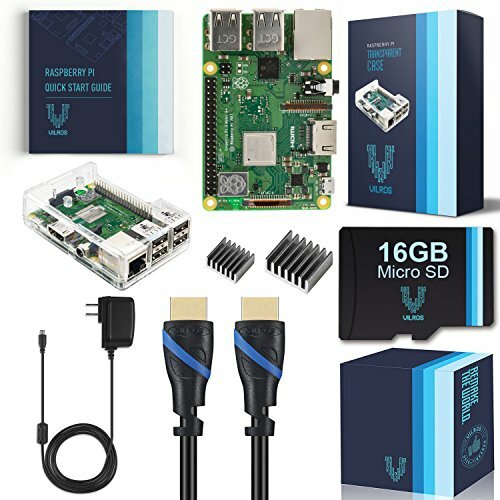 It comes with the new Raspberry Pi 3 model B+ board and with the necessary accessories to get started quickly. It also comes with a microSD pre-loaded with NOOBS, so that you can install the Operating System quickly. Something really handy that comes with the kit is the PiSwitch. It is an on/off power switch with LED indicator for the Raspberry Pi. This way, you don’t have to plug and unplug it from the wall socket to turn it on and off. If you want to save a few bucks, there’s a version of this kit without case and without microSD card. That Vilros kit includes everything you need to get started with your Pi including a set of heat sinks, which is useful to prevent your Pi from overheating. It comes with a 16GB microSD card pre-loaded with NOOBS and a clear case with access to the GPIO pins, which is great if you want to play with the Pi’s GPIO header. There’s also a version of this kit without case and without microSD card. This Ultimate Starter Kit from CanaKit comes with everything you need to start, plus some electronics components to start playing with the GPIO header, like LEDs, pushbuttons, resistors, jumper wires and a breadboard. This is the best option, if you want to build electronics projects with your Pi. Besides the essential components, this kit also comes with the official Raspberry Pi touchscreen and a wireless keyboard/mouse. This makes the Pi very versatile: the mouse/keyboard can be very useful if you want to set up your pi as a media center and control it using the keyboard (like a remote control). The touchscreen display is also very useful if you want to turn your Raspberry Pi into a tablet, or set it as a mini desktop computer. Create your own programs as it comes with a good set of free tools for writing software. If you make a mistake, don’t worry you can wipe your Raspberry Pi and start over. Create your own electronics projects. 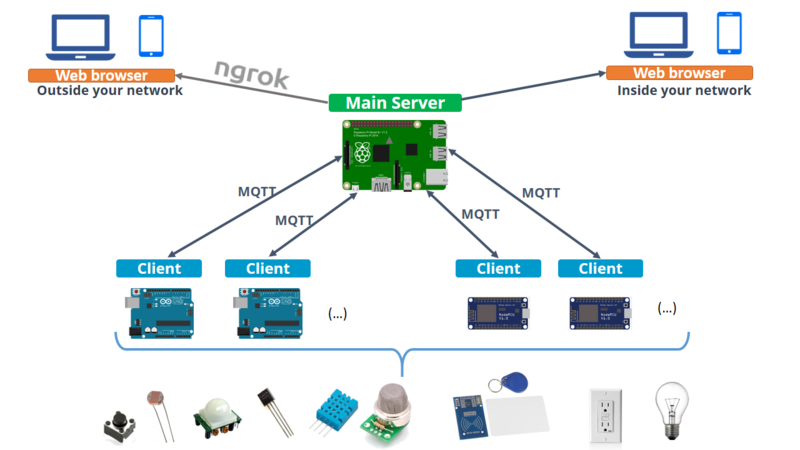 The Pi board has GPIOs that allow you to connect sensors and other electronics devices to interact with the real world. You can create useful things and have your projects running 24/7 without using much electricity. Home automation system to control and monitor your home – learn how to build a complete Home Automation System. Awesome and useful robots like farming robots and autonomous robot cars. Home Surveillance System – learn how to build a DIY CCTV system with Raspberry Pi. You can do endless projects with your Raspberry Pi. This is just a snapshot for those new to the board. 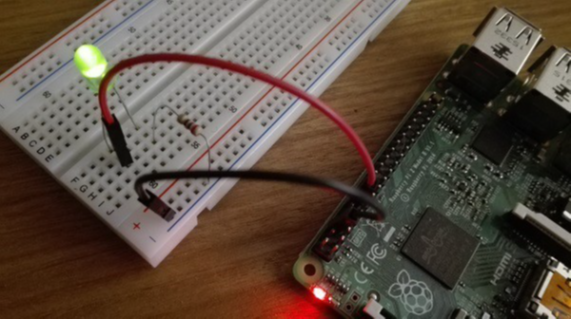 You can also check 11 Clever Uses for Your Raspberry Pi to explore more ideas. Looking for inspiration to get started? 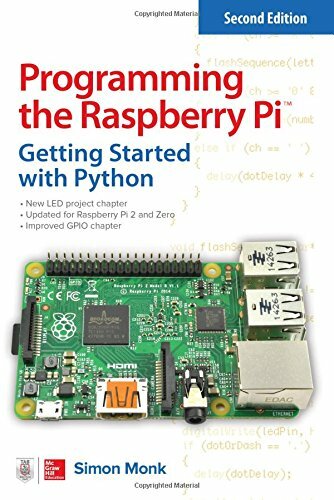 To find the best books to learn Raspberry Pi, we recommend reading our review about Best Raspberry Pi books for beginners. 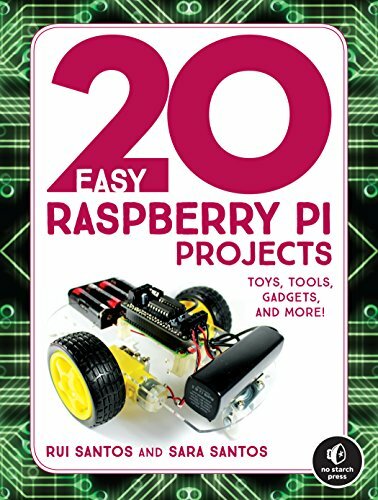 We (Rui Santos and Sara Santos) are the authors of the “20 Easy Raspberry Pi Projects: Toys, Tools, Gadgets, and More!“. This book is a compilation of 20 beginner-friendly electronics projects, perfectly suited for kids, parents, educators, and hobbyists looking to level up their hardware skills. By purchasing the book you are supporting our work. 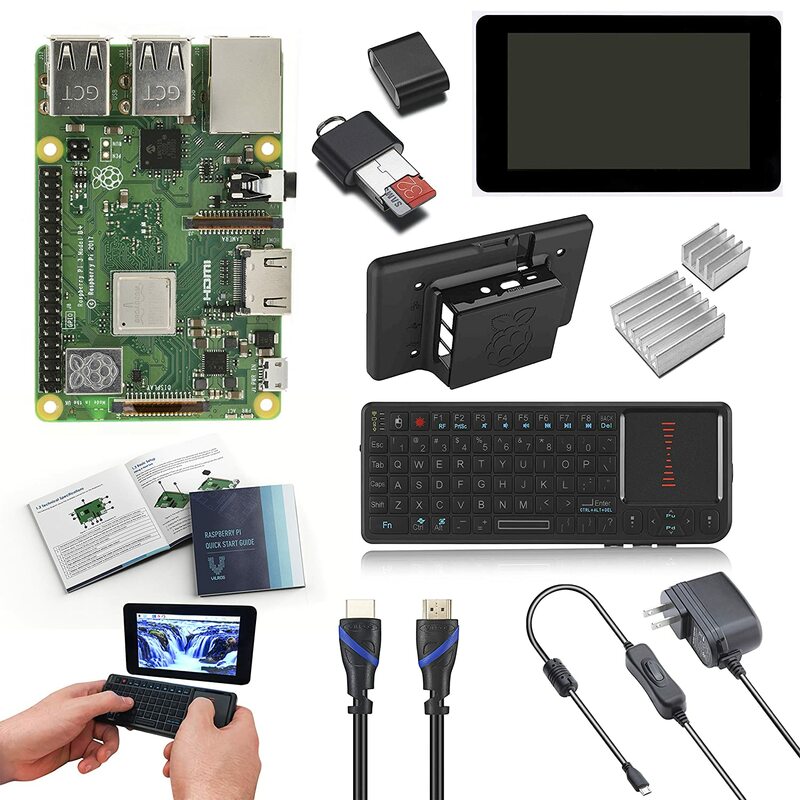 In this post we’ve shown you the Best Raspberry Pi Starter Kits that you can get in 2019. These are all good alternatives depending on what you intend to do with your Pi or depending if you already have some of the Pi’s accessories. The first two kits (CanaKit, Vilros) are similar and are both good choices. If you already have some of the accessories it may be more advantageous getting a basic starter kit. 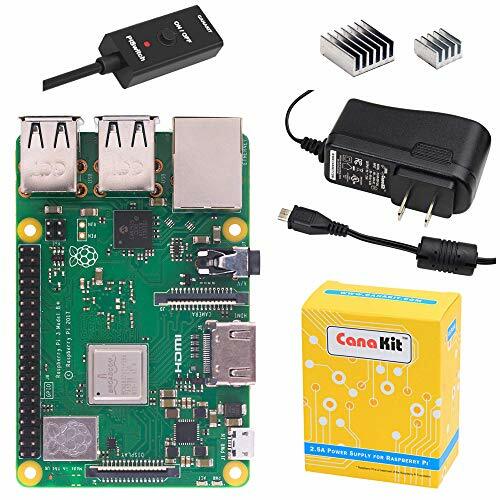 CanaKit Raspberry Pi 3 B+ Ultimate Starter Kit - 32GB - If you're just getting started with electronics projects with the Raspberry Pi and you don't have the electronics components, the Ultimate Starter Kit from CanaKit is definitely the best choice. 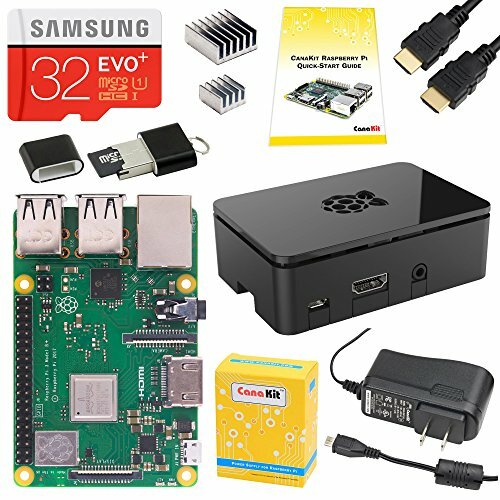 Have you ordered some of these Raspberry Pi starter kits? Let us know what you think. This gave good descriptions, but would have been more useful if some comparisons and contrasts were noted. What is in this one that’s not in the others? What does this one lack that you will probably wish it had? You are right. A comparison table is a very good idea. It is a feature that we are working on, and will add in the future to our buying guides. Canakit would not assure me of the heat-sink thermal tape quality. Its is easy to get fake tape that does not work at all–it can make things worse!, especially if you just buy the cheapest stuff online. Is there any way you can assure me that they are using the good tape? Hi. We don’t have control over Canakit products. So, we can’t assure you what kind of tape they are using. Just use Isopropyl Alcohol to clean off the supplied tape, and then use a thermal tape that you trust instead. 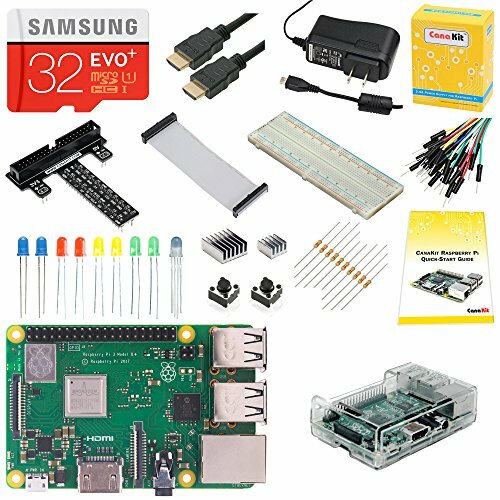 What about a RPi Zero W list of best buys and kits ? We’ll add a post about that subject in a near future.